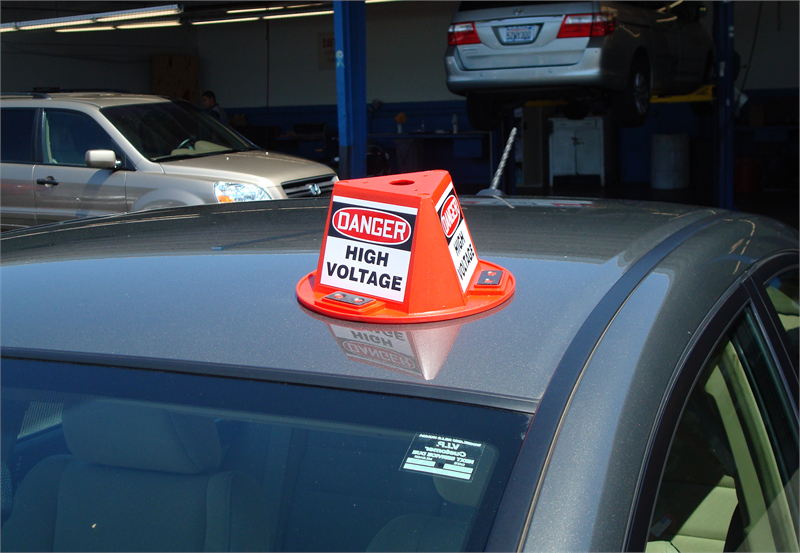 Our color-coded vehicle hats are three-sided and sit on the roof-top via a magnetic shielded magnets do not contact the car. They are complete with large decals which make it easy to locate the vehicles from all angles. Holes in the top accommodate up to three plastic flags. 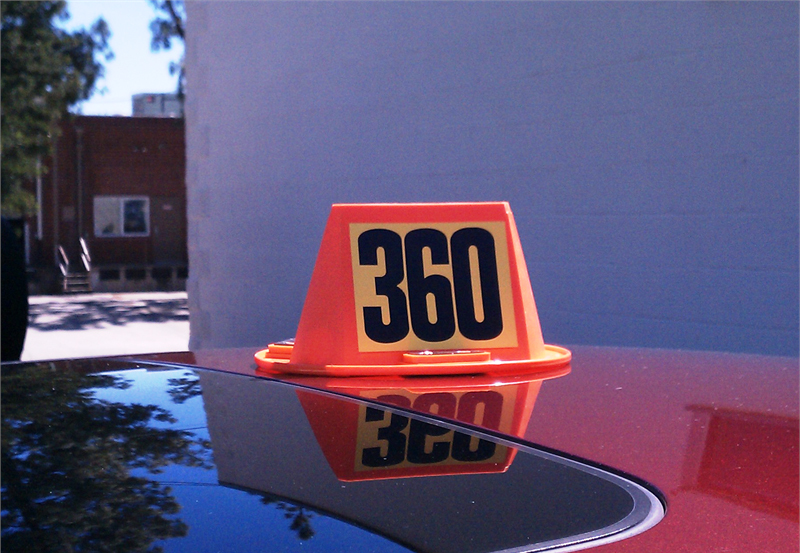 This product is used to identify and classify vehicles. 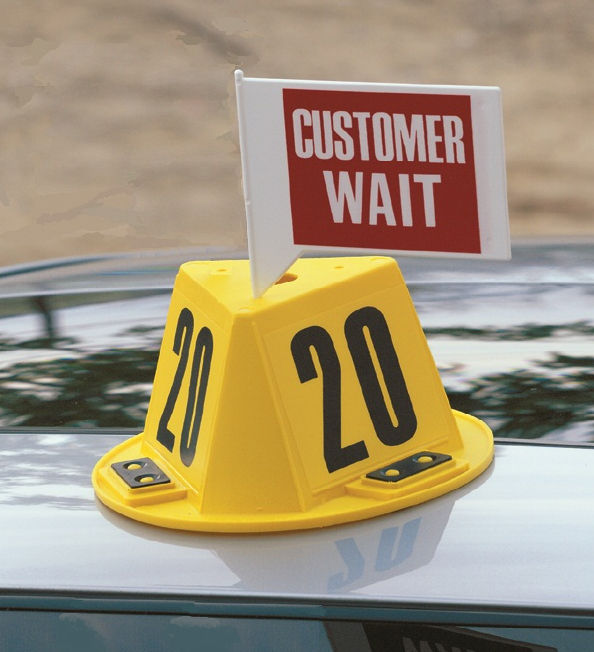 For example, marking vehicles with the "customer waiting" hat would indicate that the customer is waiting for their vehicle or the "wash" hat would signal that this vehicle is in need of a cleaning. 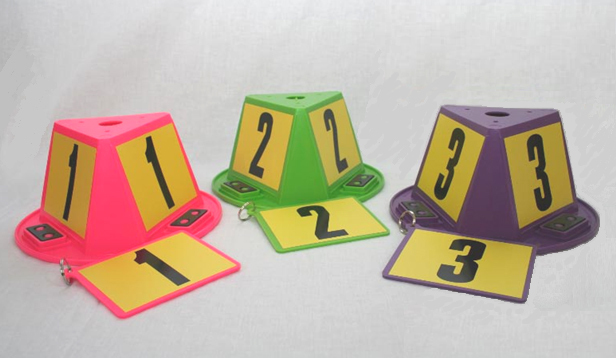 They can also be purchased with numbering on both sides or with a dry erase to finish to write on and wipe off your own message. 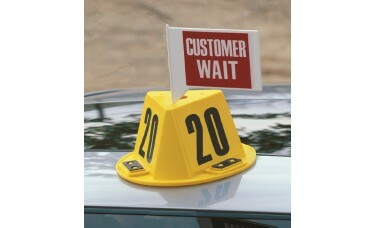 These can be auto body shops, auto dealerships, car rental businesses, auto glass shops, and much more. Size: Approximately 9 1/2 in. x 9 1/2 in. Holes in top accommodate up to three plastic flags. 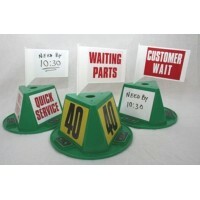 Message Flags for Magnetic Car Top Hats are sold separately. You have a choice of either any numbers from 1 to 999 or a message. Please select number series in the special instruction box.